The Elder Scrolls Online 3.0.9 is now available for download. The new update includes several fixes and improvements to Battlegrounds including long loading times, issues surrounding queuing, and more. ESO 3.0.9 for PC has fixed an issue that would prevent the Ready Check prompt from being displayed when joining a Battleground queue. The update also fixed an issue that would occasionally cause Battleground queuing to fail. Check more details below. You will no longer join a Battleground match that has less than two minutes remaining. The Elder Scrolls Online 3.0.9 fixed an issue that would prevent the Ready Check prompt from being displayed when joining a Battleground queue. ESO 3.0.9 ixed an issue that would occasionally cause Battleground queuing to fail. Fixed an issue that would occasionally prevent players from backfilling open groups in Battlegrounds that had already started. The proper arrival effects will now display on all player characters when using the checkpoints within the Trial. Forging the Future will now correctly grant a reward once per week. Venom Injection now does less damage in Normal difficulty. Refabricated Spheres will now be affected by Super Charged in Veteran difficulty when all eight are active. Rending Leap will now be cast more reliably by the Hunter-Killer Fabricants. The stun effect from Static Cascade now applies correctly even if you block. Shock Lash will now always finish casting once it starts. The Pinnacle Factotum will no longer be shielded by the Liminal Transformer while it is active. ESO 3.0.9 increased the health of the Pinnacle Factotum in Veteran difficulty. The Liminal Transformer will now overcharge and be active more often in Veteran difficulty. Short Circuiting Centurions will now activate earlier. Pressure Release now increases in damage with prolonged exposure in Veteran difficulty. The stun effect from Shockwave now applies correctly even if you block. Short Circuiting Centurions can no longer be damaged until they are fully activated. ESO 3.0.9 fixed an issue that caused chapters of the Bouyant Armiger motif to appear less often than intended. These chapters are still quite rare, even for those who have served Morrowind faithfully. A Cold Wind From the Mountain: You will once again be able to interact with the items in Coldwind’s Den properly, which will unblock your quest progress. Planting Misinformation: You can now only place notes on the table once. 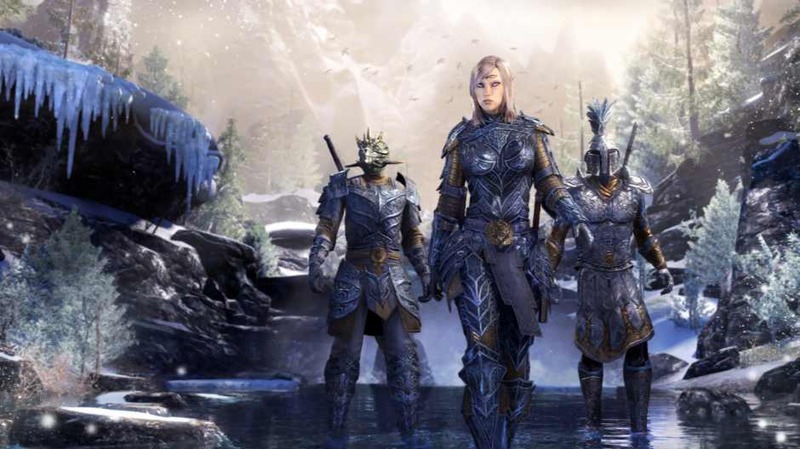 The Elder Scrolls Online 3.0.9 fixed an issue that would occasionally prevent groups from forming or being filled in Cyrodiil when using the Grouping Tool. Cyrodiil Guards will no longer have the wrong abilities applied to them when a Keep is upgraded. This was causing Guards to be much more difficult than intended. The Elder Scrolls Online 3.0.9 fixed an issue that was causing graphical issues in Spellscar, and would occasionally cause your game to crash. Leeching Strikes (Siphoning Strikes morph): Fixed an issue where you could block the heal from this morph. Fixed an issue that prevented the second and third effects of Crown Poisons from being triggered by some area of effect abilities. Fixed an issue that was preventing some appearances purchased from the Crown Store from remaining equipped or visible when traveling between zones. The Elder Scrolls Online 3.0.9 fixed an issue where alchemical poisons were causing certain persistent area of effect abilities (such as Volley or Wall of Elements) to terminate early. Previously, the Elder Scrolls Online update was released for PS4, Xbox One, and PCs. Check your game update and download latest The Elder Scrolls Online 3.0.9.